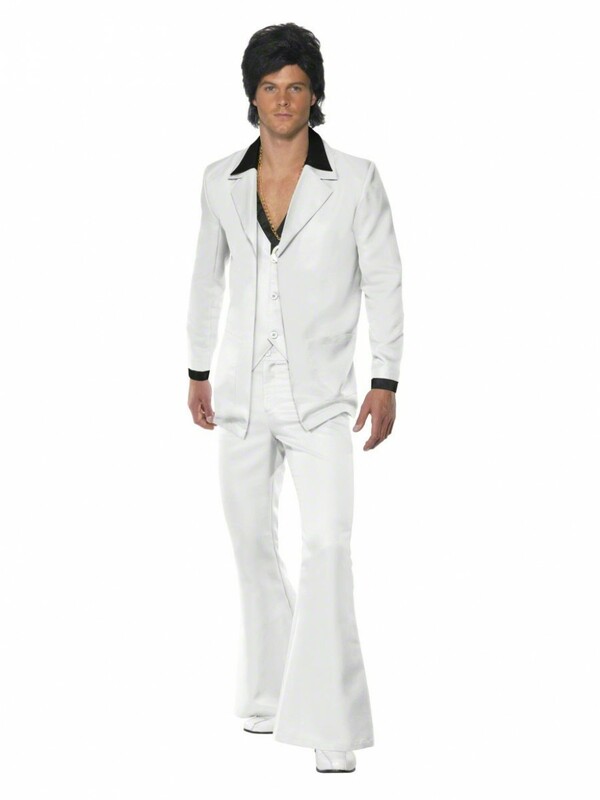 Fun 1970s White Suit Disco Costume which includes flared trousers, jacket & waistcoat. Perfect for any 1970s disco fever! 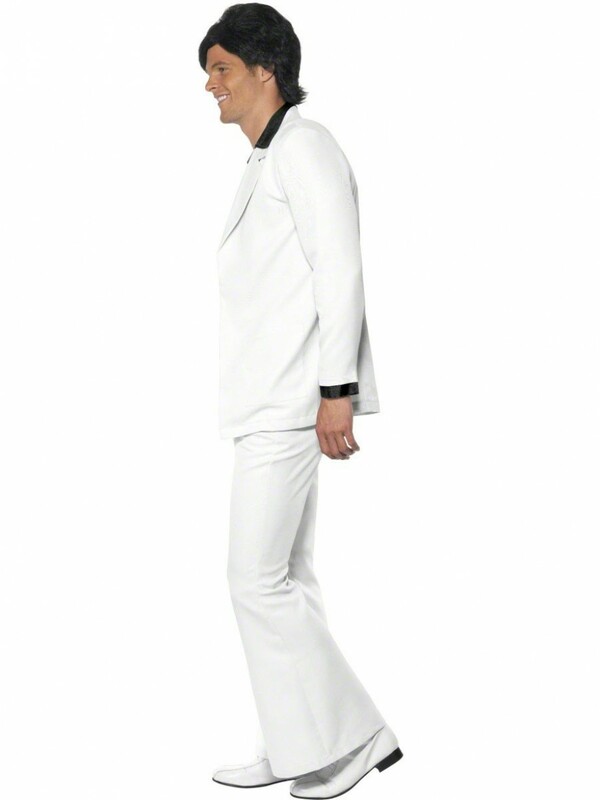 Mens white suit with trousers, jacket & waistcoat. The trousers have a fun flared design and an elasticated band at the back for extra comfort. The jacket has a black shiny collar and cuffs. The waistcoat is built into the front on the jacket (as a front attached ‘panel’ – it is not a separate item) with button detail as pictured. There is a black edging to match the rest of the jacket. 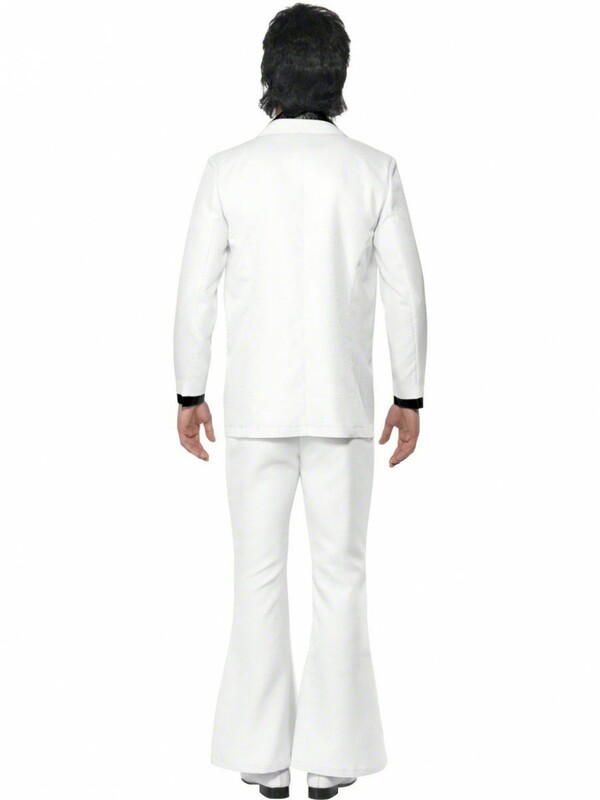 White suit with trousers and jacket (with attached waistcoat panel). Please note that the shoes, medallion and wig are not included.